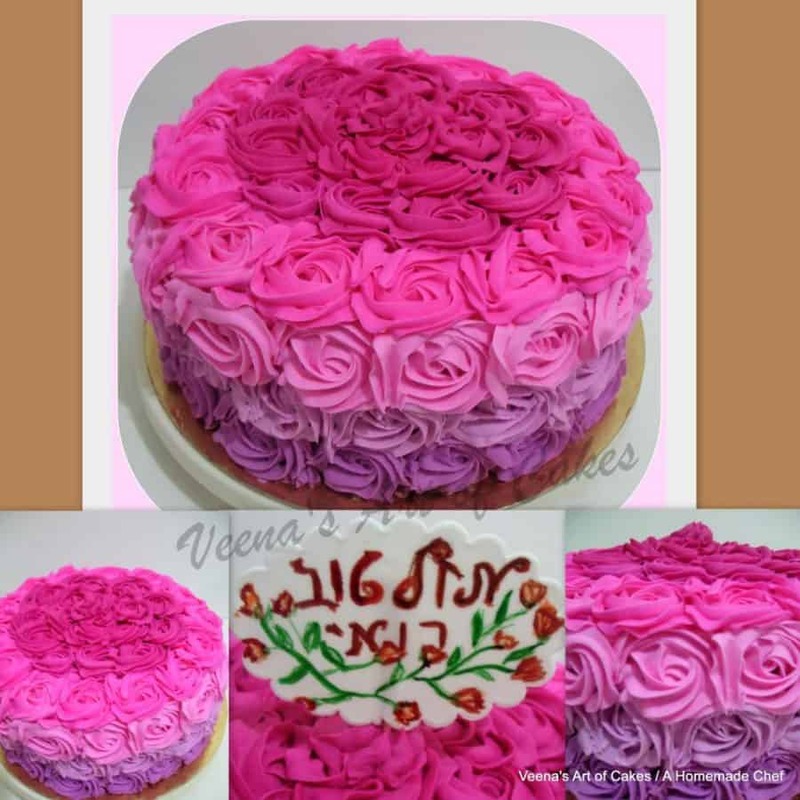 A Buttercream Rose Swirl Cake is a perfect gift for a lady no matter what age. In fact it’s a great cake to have when celebrating with guest too! 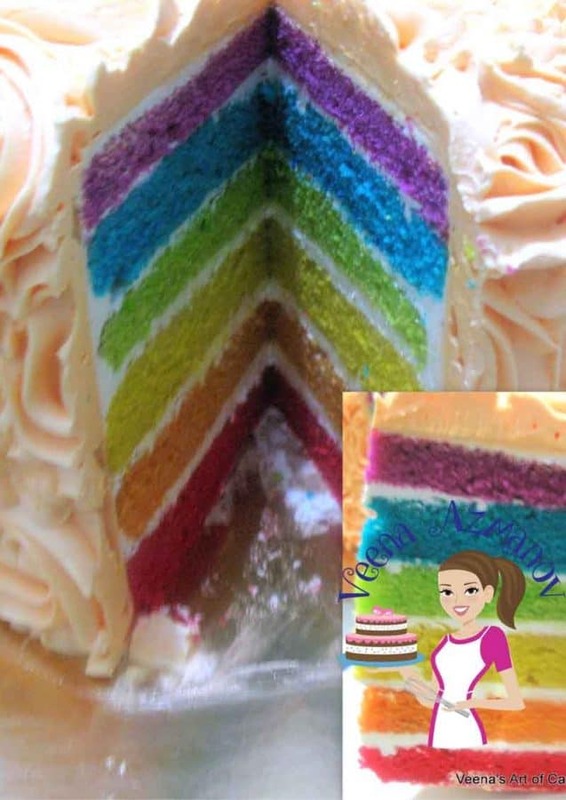 The cake is a light and fluffy rainbow cake as a base with delicious Italian Meringue Buttercream. 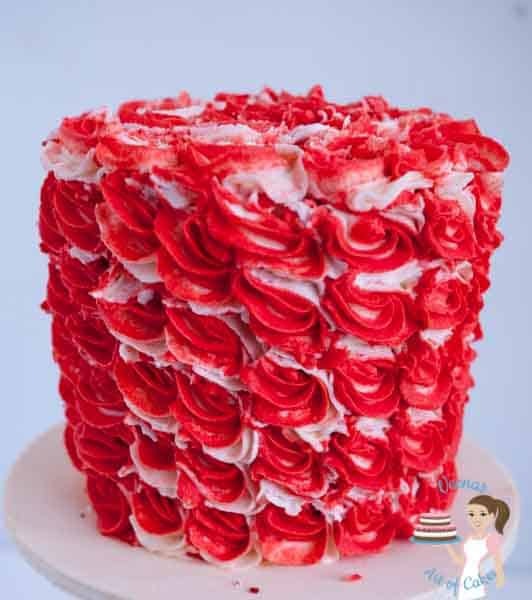 The Buttercream Rose Swirl is so easy. The next time I have no time to decorate but want to give some one something special – this is it. Simple, easy and beautiful. I LOVE it. Level tort and fill the cake as we usually do. Crumb coat the cake- doesn’t have to be perfect. This is what you do with the tip. The direction is just a swirl. Just as we do it on a cupcakes now we do it on a cake!! 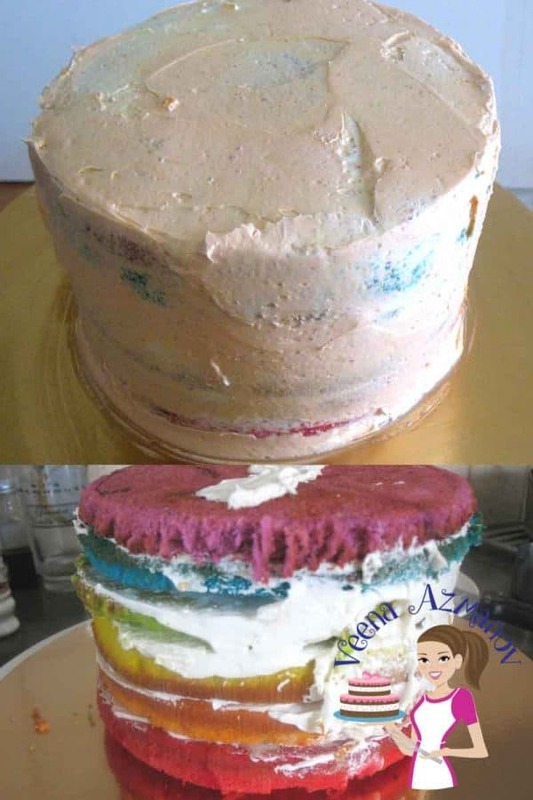 You start from the inside out.. except there you hold the bag perpendicular to the cake sides. 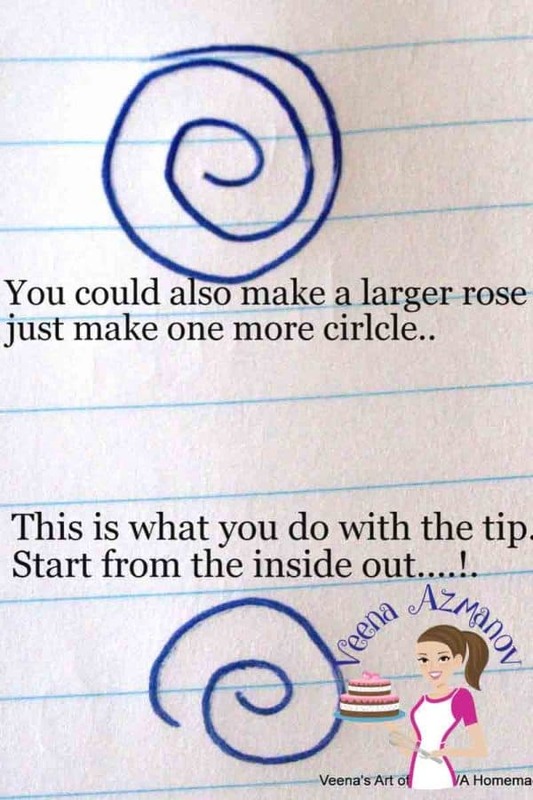 Make as many swirls as you can touching each other. There will be gaps in between them which you can pipe a star with the same tip – I usually do this after I’ve done a few rows. The second row goes in between the first so you don’t have too many gaps. Here’s the direction for you on a piece of paper. I think it is really simple as long as you understand how. 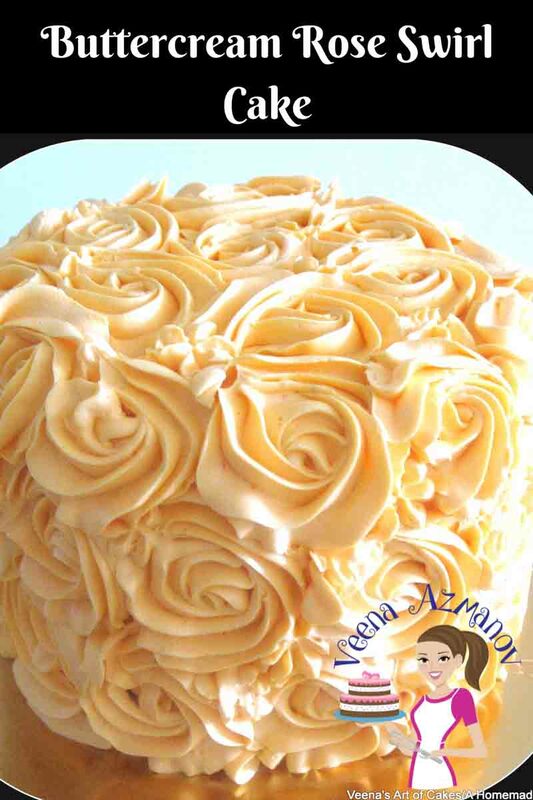 And Voila.. you have a pretty Buttercream Swirl Cake. This is so pretty. 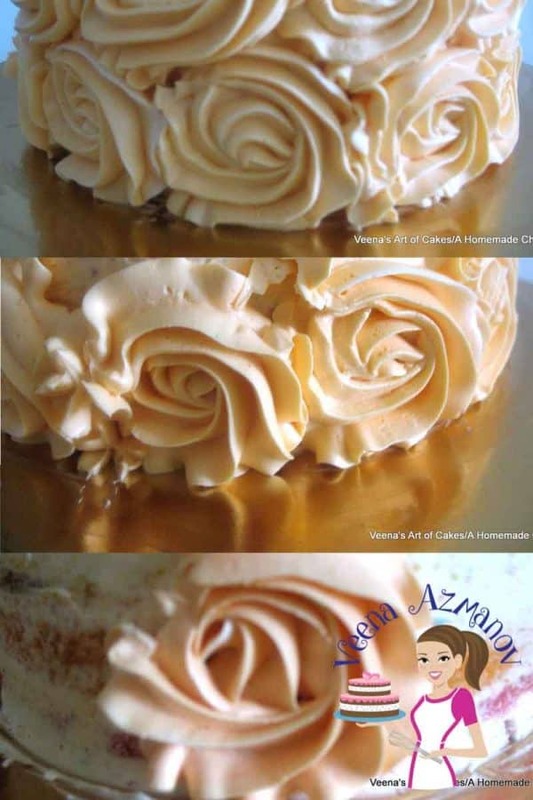 I have to make a Rose Swirl Cake and am going to use your buttercream recipe. Thanks for the detailed post. Thank you Kathrin. Have fun with your cake. WOW!!! (droolin on the computer)this looks absolutely amazing.Thank you SO MUCH for the inspiration!